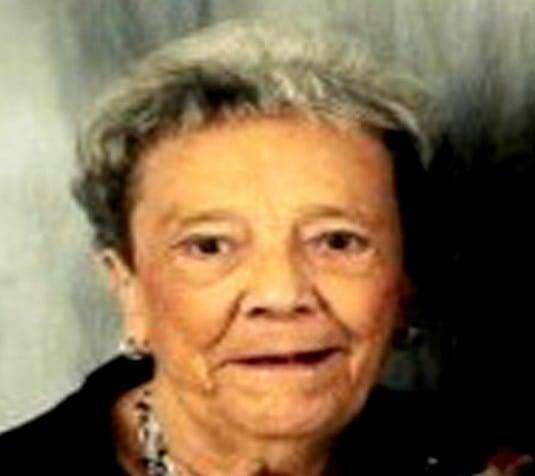 Ardith D. “Ardie” Harris, age 88, of Wauseon, passed away on Sunday, April 14, 2019, at the Swanton Valley Care Center in Swanton. Ardie was a well-known face around Wauseon, cooking for many restaurants over the years – Charley’s Country House, McCoy’s, and Kay’s to name a few. Left to cherish her memory are children, Herb (Cindy) Harris and Cherie (Jeff) Bishop; grandchildren, Brittanie (Paul) Ledyard, Mynde (Matt) Stoncheck, Andrew (Jamie) Harris, Jeramie (Christina) Bishop, Derek Bishop, and Tai Bishop; great-grandchildren, Ashlyn, Madisyn, Gavin, and Payton Ledyard, Logun and Kensey Stoncheck, Brantly and Isla Harris, and Bret Bishop; and many nieces and nephews. She was preceded in death by her parents, husband, grandchild, Noah Bishop; brothers, Orville and Herb Masales; and sister, Audrey Hartman. Visitation for Ardie will be held on Monday, April 22, 2019, at the Edgar-Grisier Funeral Home in Wauseon, from 4:00PM until 8:00 PM. Funeral services will be held on Tuesday, April 23, 2019, also at the funeral home, at 11:00 AM, with Jeannine Grimm, SAM, officiating. Interment will follow in the Zion Cemetery. Those planning a memorial contribution in Ardie’s memory are asked to consider the benevolence of the family, c/o Herb Harris. Online condolences to the family may be offered at www.GrisierFH.com. The Edgar-Grisier Funeral Home is honored with Ardie’s care and arrangements. Be the first to comment on "Ardith “Ardie” Harris (1930-2019)"